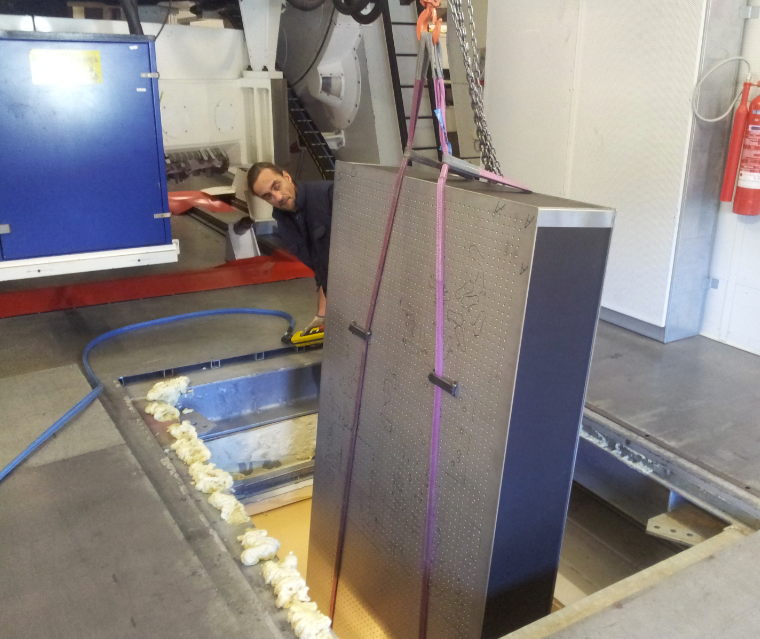 A new, experimental, upgrade to the TNG+Harps-N system has been successfully carried out in the last two weeks. 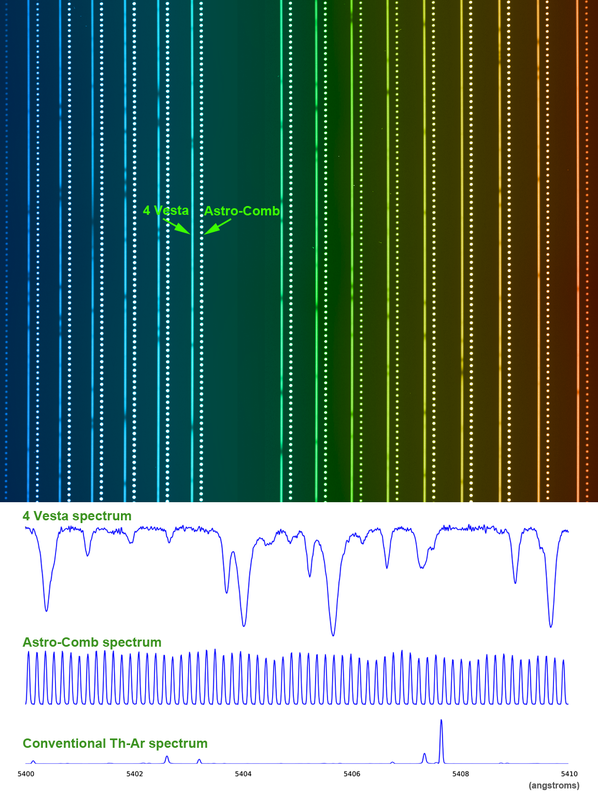 An astro-comb, an ultra accurate, light source for spectral calibration has been tested with the Harps-N spectrograph, a step forward in the direction of more precise measurements of star radial velocities, and thus of smaller, Earth-like exoplanets. The astro-comb is a laser frequency comb based calibrator for high resolution astrophysical spectrographs and has just been deployed at the TNG for calibrating HARPS-N. This light source has the potential to calibrate astrophysical spectrographs with sufficient precision and accuracy to aid in the detection of earth-like planets orbiting other stars. The calibrator consists of: (i) a high repetition rate femtosecond laser stabilized to GPS time producing 100000 optical lines all referenced to the definition of the second; (ii) Photonic Crystal Fiber, a short piece of optical fiber that coherently shifts the light from the laser into the wavelength band of the spectrograph; and (iii) a filter cavity to match the line spacing of the calibrator to the resolution of the spectrograph. 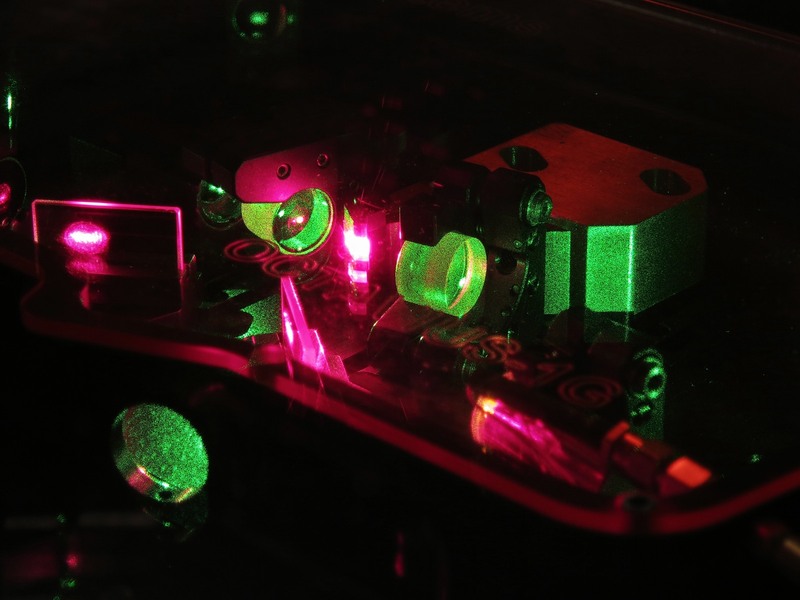 A recipe of magic and photonics, which is able to change the frequency of coherent radiation from infrared to green light. It is the result of hard work, years of research including a couple of Nobel prizes. The astro-comb is currently being tested at the TNG on HARPS-N by performing a series of measurements comparing it to more traditional calibrators such as thorium lamps and also through its use calibrating the spectrograph while observing several targets including the asteroid Vesta and Radial velocity standard stars. David Phillips from Harvard-Smithsonian CfA, the leader of this project, says: "We are completely satisfied with the job we have done here, and all of you, especially Adriano Ghedina and Avet Harutyunyan and also many others at the TNG who have gone out of their way to help us, explain things to us, or just be friendly to us. And we very much look forward to returning soon". "And we are looking forward to the next generation of astro-comb here at TNG, hoping to be able to offer this as a common user calibration. Meanwhile I wish to thank all the US and TNG teams who collaborated to achieve such a success with virtually no problems" concludes the Director of TNG Emilio Molinari.